Floyd is a very good young tennis player who has worked very closely with his supportive parents to do well. 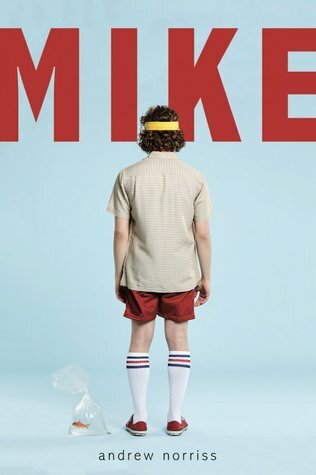 However, he starts seeing a young man hanging around when he plays, and at one point, "Mike" walks onto the court during a meet and stands right behind the referee. At this point, Floyd realizes that only he can see Mike, and his parents help him get some psychiatric counseling. Dr. Pinner is very understanding, and helps Floyd see that Mike is a part of him and trying to tell him things about his life. Floyd realizes that even though his parents haven't pressured him into playing, and have even said that he can stop if it isn't fun anymore, that he's not enjoying the sport and wants to quite. His parents ask that he compete in one more tournament, and he trounces his opponent but is still intent on quitting. He starts to actually apply himself in school a bit, and spends some time on the shore with his grandmother, where he meets Charity, the daughter of an American marine biologist. Oddly, Charity is able to see Mike. Upon returning home, he follows Mike and ends up working at a small local aquarium. Mike only shows up at pivotal moments, when Floyd needs some prompting, and at one point even saves Floyd's life. Floyd never regrets giving up tennis, although his parents were more invested than he thought, and his father ends up coaching other students. In the end, we see a completely different version of Floyd than would have existed had he not had the input of another side of his personality. Strengths: Starting with Floyd's tennis skills, competition, and training is a brilliant hook. After that, the mysterious Mike, and his influence on Floyd, is just mesmerizing. I kept turning the pages and being astounded at the ways that Floyd's life took him. Marine biology is an oddly popular career choice among my middle school students (although not many of them actually major in this in college), so that tie-in is nice as well. I can't really explain why I liked this one so much, but my 8th grade readers who want more mature books like Key's Four Mile, Rupp's After Eli, Hautman's Slider and Currinder's Running Full Tilt will enjoy this quirky title. What I really think: I will purchase this one because I adored it so much, and while it won't circulate constantly, I can think of at least five students I want to hand it to right now. Not wild about the cover, but this is one that will be hand sold anyway.